On Monday, September 8, The Rev Brad Clark dedicated a new bus shelter on County Road in front of the Southern Heights neighborhood. 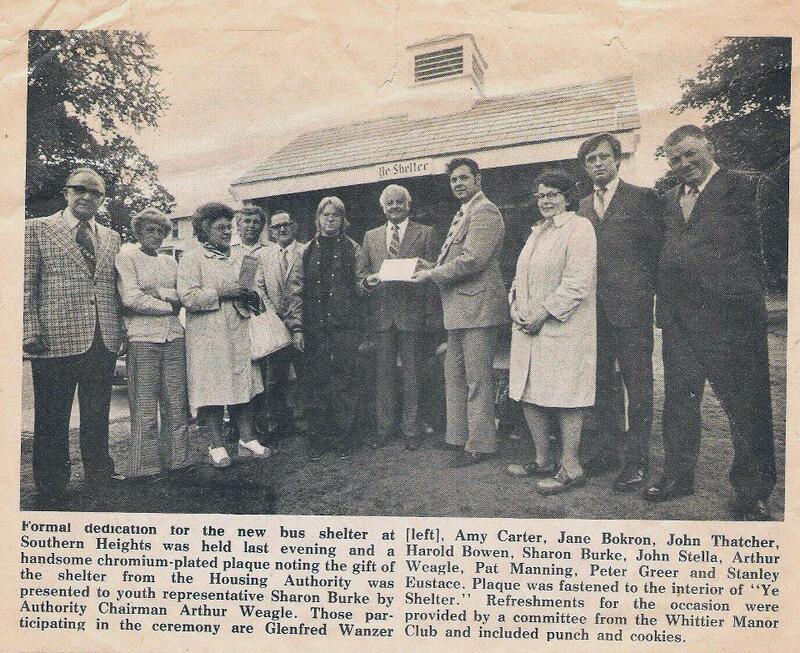 The shelter replaces a 40 year old structure that had protected school children for four decades as they awaited their buses. Several of the children who will use the new shelter were on hand to cut the ribbon. In his dedication remarks, Rev. 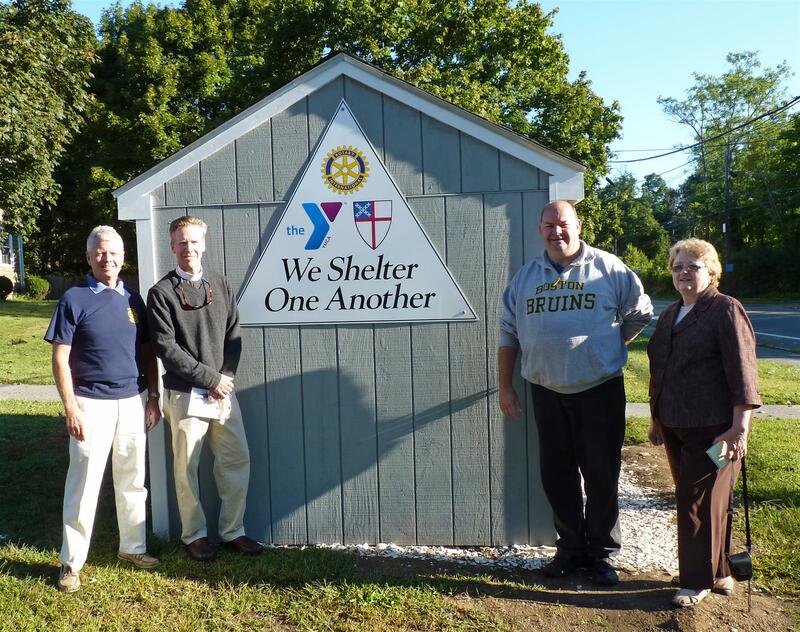 Clark, Rector of Ascension Church and current President of the Ipswich Rotary Club, commented that “It was exactly 40 years ago that the first Southern Heights Bus Stop Shelter was built for kids as a protected place to gather for the bus. Food, shelter and clothing are the three basic essentials we need to make our way in this life. I would add community. Without community we have no one to lean on in times of need, no one with whom to share the happiest moments of our lives, and no one to help us realize our dreams. Rev. Brad concluded his remarks by acknowledging the organizations and businesses whose efforts and generosity made the new shelter possible: the Ipswich Rotary Club, the Ipswich Family YMCA, the Youth Group of Ascension Memorial Church with special thanks to Bill Skelton, Cape Ann Sign, the Ipswich Housing Authority, D.L. Clark, Inc., Tedford’s True Value Hardware, and the Conservation Commission of the Town of Ipswich. On hand, in addition to several Ipswich Rotarians, was former Ipswich resident Shawn Murphy who traveled down from his home in Exeter, NH. He shared memories and vintage newspaper clippings marking the occasion of a similar dedication exactly 40 years earlier. Shawn and his classmates were the first school children to use the previous shelter in 1974.